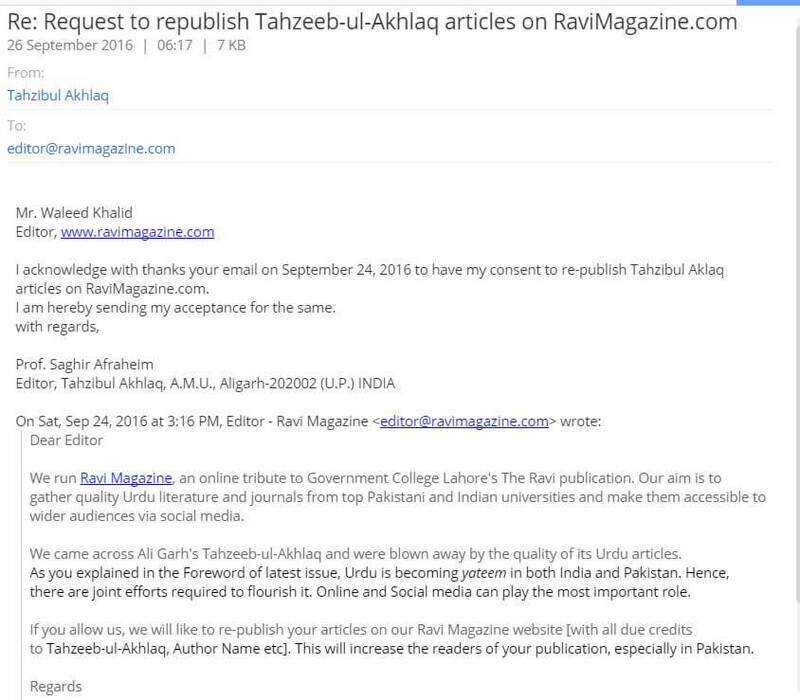 Tahzeeb Akhlaaq is the renowned Urdu Journal of Ali Garh University India, first published by its founder Syed Ahmad Khan. 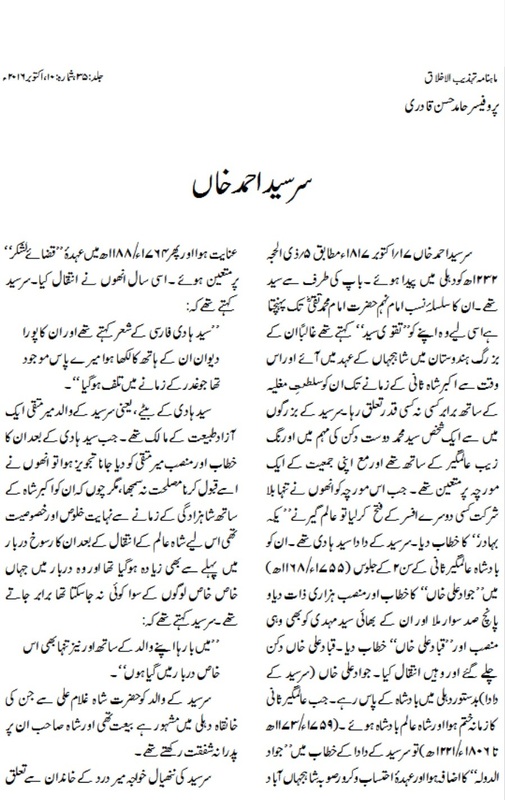 Following his visit in London, Syed Ahmad was immensely inspired by Spectator and Tetlor journals, and upon his return to India, he initiated Tahzeeb Akhlaaq on the same narrative such as social-political issues of India and how to reform them. 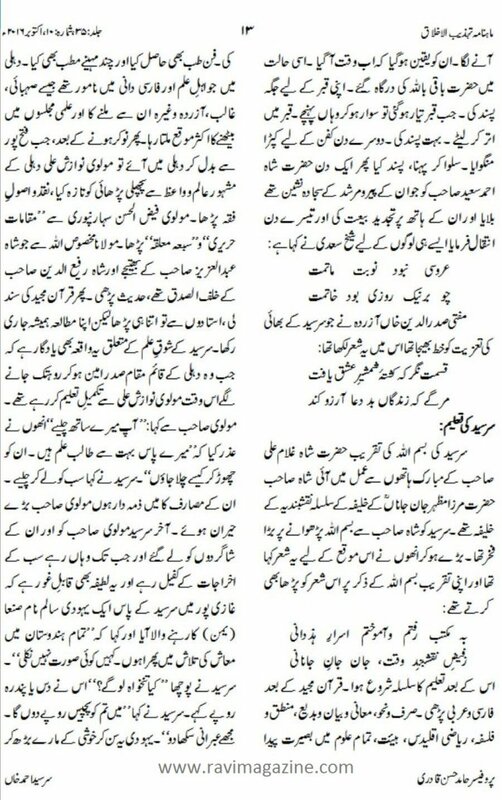 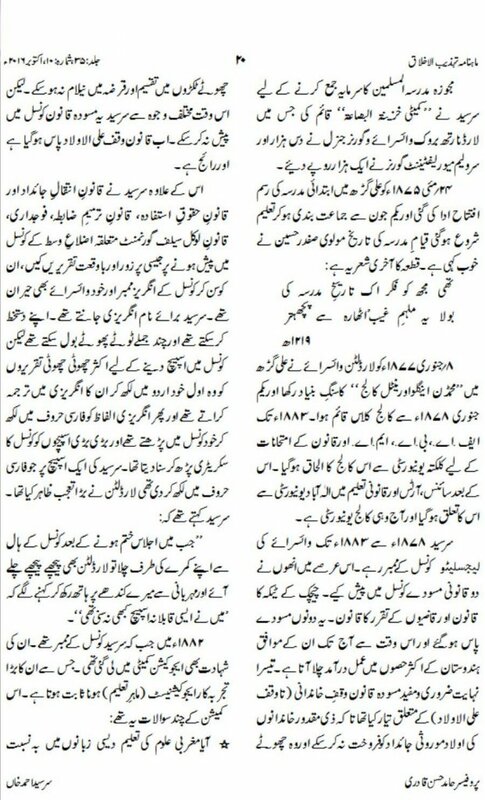 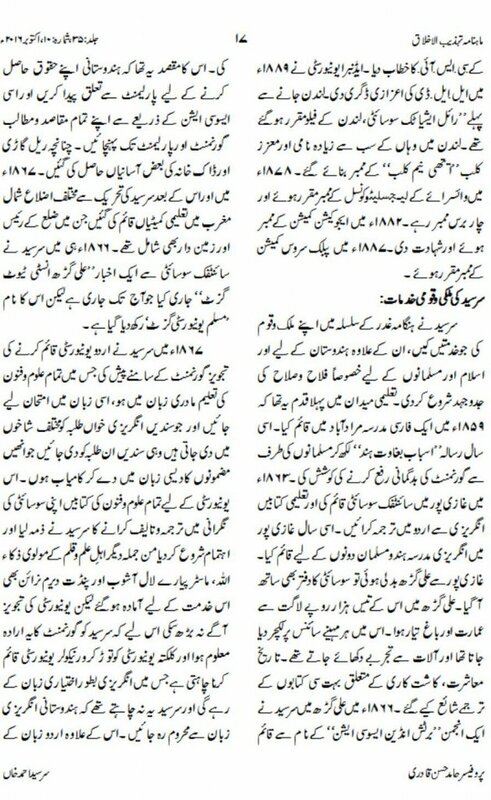 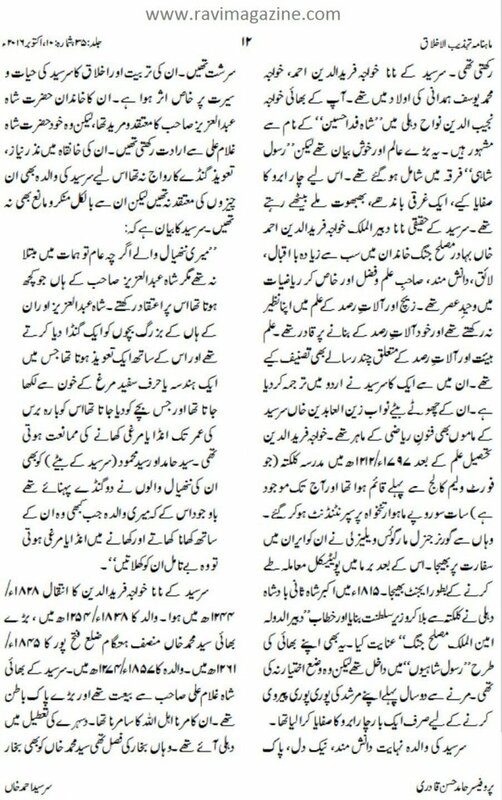 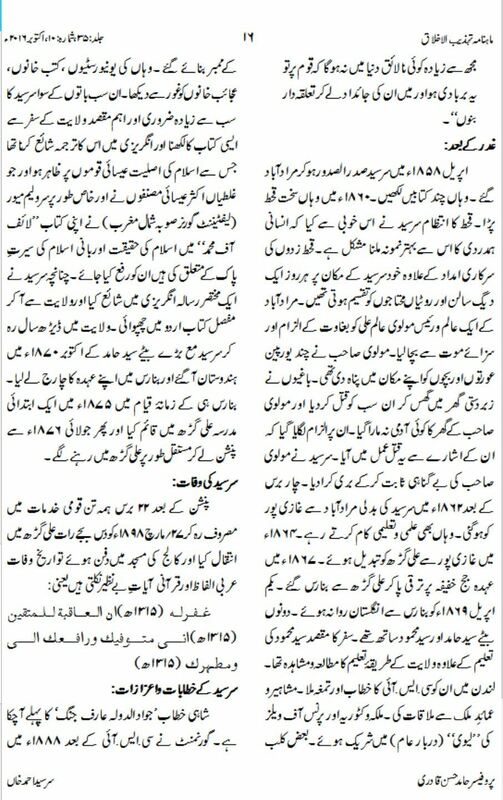 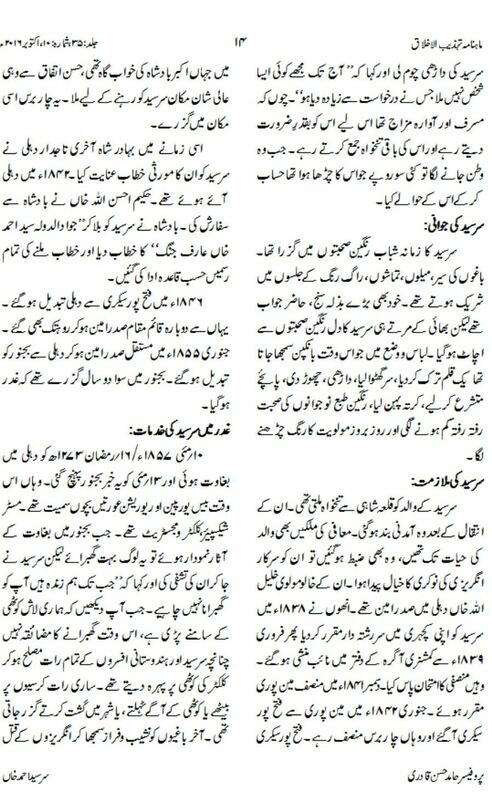 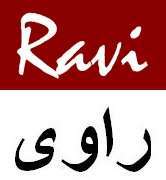 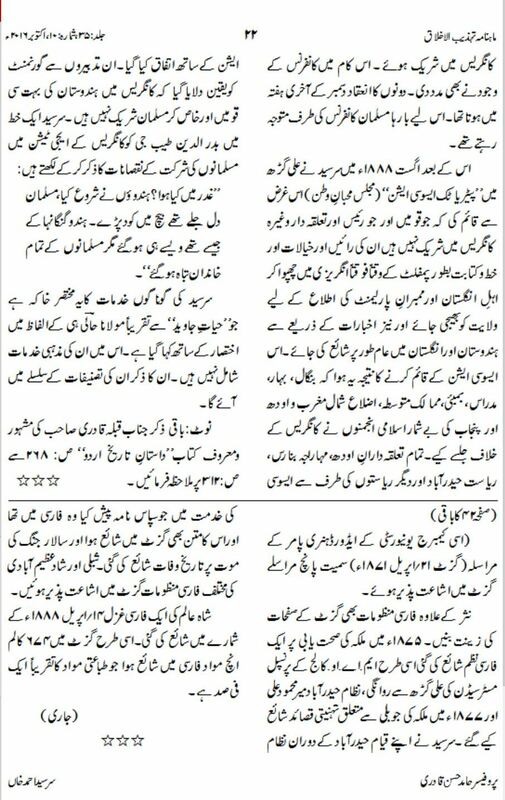 Ravi Magazine is honored to be granted permission to republish articles and below is excellent article by Prof. Hamid Hassan Qadri that highlights the life and contributions of Syed Ahmad Khan.